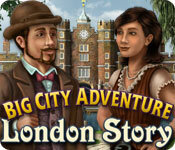 Big City Adventure: London Story is rated 4.1 out of 5 by 122. Rated 5 out of 5 by mihbrooks from Excellent game Another great BIG CITY ADVENTURE game! Excellent graphics, storyline, fun to play. I hope there will be more like this one. Rated 5 out of 5 by grandmafern from Big City Adventure London Story I absolutely loved this game. I was riveted and could not stop playing. It is so different than the other Big City Adventure games. I hope they come out with more of these. Rated 5 out of 5 by lswhite369 from London story I really do like this game. The game itself is much different then other Big City Adventures, but awesome and fun to do. Yes, you get some help with the map and walkthrough. Good thing because I found myself quite confused at times. Hints are numerous it helps also. Voices are clear and informative. Scenes are beautiful and the information cards during game tells about all the places you visit, very informative and interesting. The mini games during game is so you can get help with task you must do in game. They to me was not easy and I had to use hint and walkthrough for most. I love this type of game. 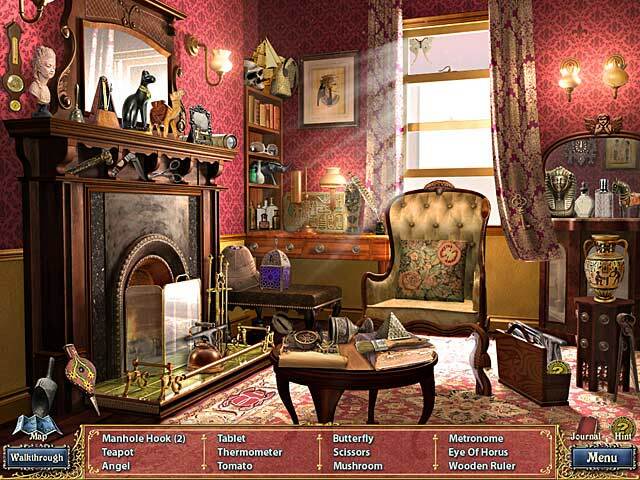 I now own over 140 Big Fish Games and almost all are Hidden Object my favorite. Just wish more came with walkthroughs like this. Except other hidden object games you got to buy strategy guides for most :(. Got most my games finished without guide but still have few stuck on. So if you really want a fun game this is it and you can take your time and complete it with in game help-that's a plus for me. Just bought game going to go do it all now. Enjoy! Rated 5 out of 5 by Italia47 from Laid back, relaxing and educational game! This is the kind of a game to play when you want to just chill and play at your leisure. It's a very long game and there is quite a bit of back n' forth, but you have a pretty decent map to refer to. It's a simple HOG game where you will learn interesting facts, lots of reading material along the way, and loads of hidden object scenes. There's even a walkthrough if you get stuck. I would have preferred full screen mode but I'm managing. I'm 3/4 of the way through with this game. Admittedly, there are some objects that are hard to find now and then but that's what makes it a tad challenging. It doesn't have all the bells and whistles of other games but the artwork is lovely and easy on the eyes and quite enjoyable. Well-organized game play, and great voiceovers. Personally, it's a nice change and I really like it. I'm giving it a low 5-star rather than a 4 because of the small items to locate and not being a full-screen. I certainly recommend this game. 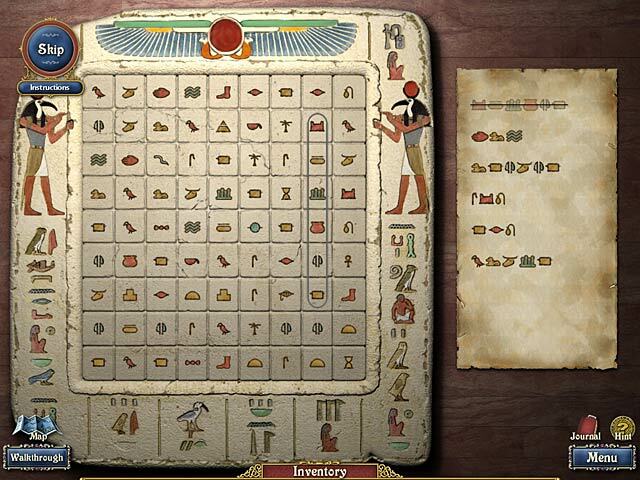 Rated 5 out of 5 by fatandfrumpy from Great game, almost CE length Really enjoyable hunt for Egyptian artifact. Challenging story, excellent map, mini walk through. Great game, will play it again. Rated 5 out of 5 by ParsleyQueen from Fun and positive I wish I could find more games like this one in which the theme is positive, and the game is just challenging enough to not be taxing. I have all of the Big City Adventure games, and loved them for these reasons. The longer "story" format is wonderful and engaging. I am enjoying this game immensely. The map and walkthrough are a great help to avoid frustration. The postcards give interesting information, as well, so I feel like I am in fact traveling in these places. I hope Jolly Bear games continues to develop these types of games, both the Classic with new destinations, and the Story format. I'd love to see a "Tokyo Story"! Judging from the other comments on this board, it looks like there is definitely a market for this type of game. I also hope that these comments are forwarded to the game developers!! 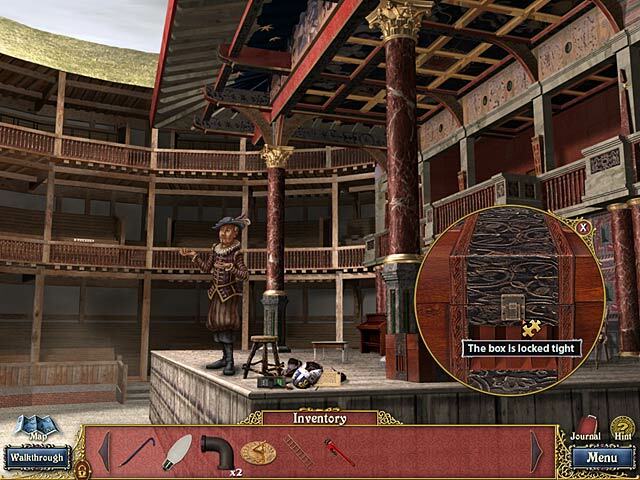 Rated 5 out of 5 by jmparke25 from Exceptional Hidden Object/Adventure Game I enjoy HO games that have a good story line and require the player to explore and find things, and solve other puzzles, versus a mind-deadening series of HOP scenes. I just finished this game and I loved it! Definitely one of the very best of this type that I have ever played. A couple of warnings: A) The HOP scenes are really tough. Even the easy objects aren't all that easy, and one or two in each scene will be almost impossible. Thank god for the hint button or I probably wouldn't have been able to complete the game. B) Be sure you have 'sparkle' mode turned on, and take the time to inspect each new location very carefully before you move on. Some important areas don't sparkle very often. If you miss something you will soon find yourself at a seeming dead end, wondering what to do next. Nuff said. Buy this game. I almost guarantee you will like it. Rated 5 out of 5 by klfrr from Relaxing game without occult/paranormal I played this with my 7 year old. We enjoyed the relaxing tone and music. Game was a good length. Was stuck one or two times, and required a walkthrough; otherwise, very fun. Hope for more games like this.